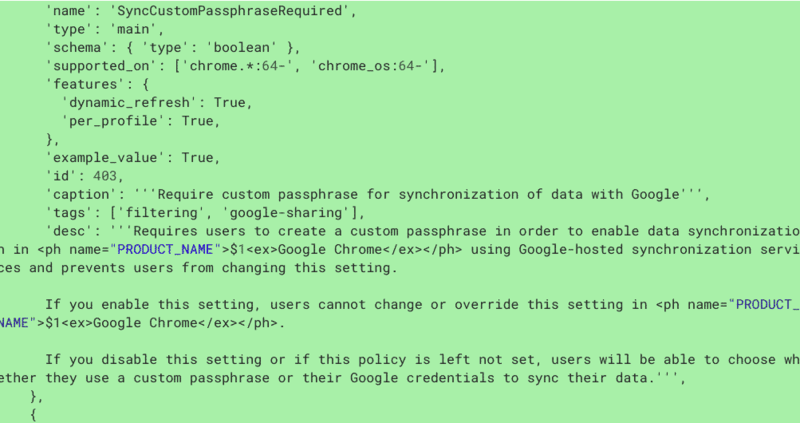 As part of a feature request submitted in 2017, Google is implementing a new enterprise policy for Chrome which will enable admins to force custom sync passphrase. With a passphrase, you can use Google’s cloud to store and sync your Chrome data without letting Google read it. It is more like an encryption key for all the Chrome related data that you store in your Google account. There are two options when it comes to passphrases. You can either use your Google account password or a custom passphrase. Whenever you set up Chromesync on a new device, you will need to enter this passphrase also to start syncing your information. This as you can see, is an additional layer of security. The new enterprise policy that Google is working on allows admins to force users to use a custom passphrase instead of their Google account password. If you are a Chrome Enterprise Admin, you might appreciate this new feature. May be this was in your wish list all along! If yes, drop me a comment and say hello!